I love spring and my CSA embodied it this week. There were strawberries, asparagus, greenhouse tomatoes, collards, red kale, and green kale. I’m in veggie heaven! The more greens you eat, the more stems you have left over. I know some of you cook the stems and eat them with the leaves, and I commend you. In my household, I take out the stems whenever I’m sautéing because Cheryl will pick them out. 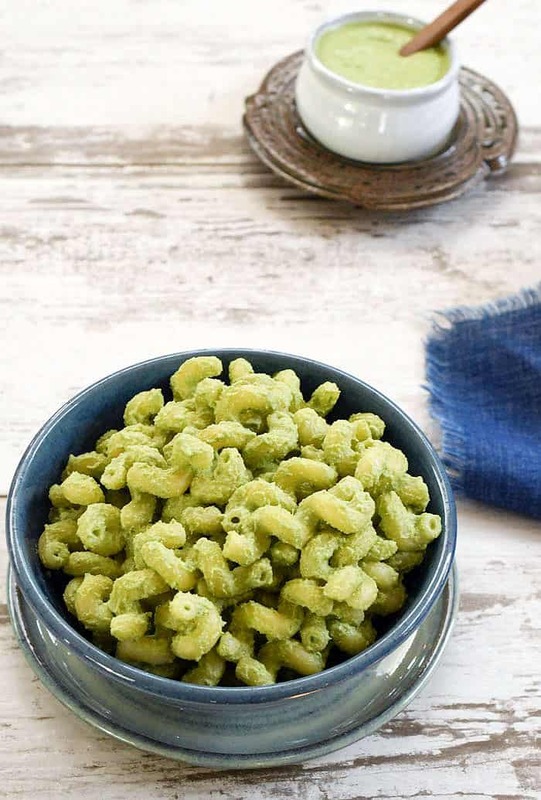 Instead of throwing them out or composting them, I’ve been using them in sauces and pesto too. 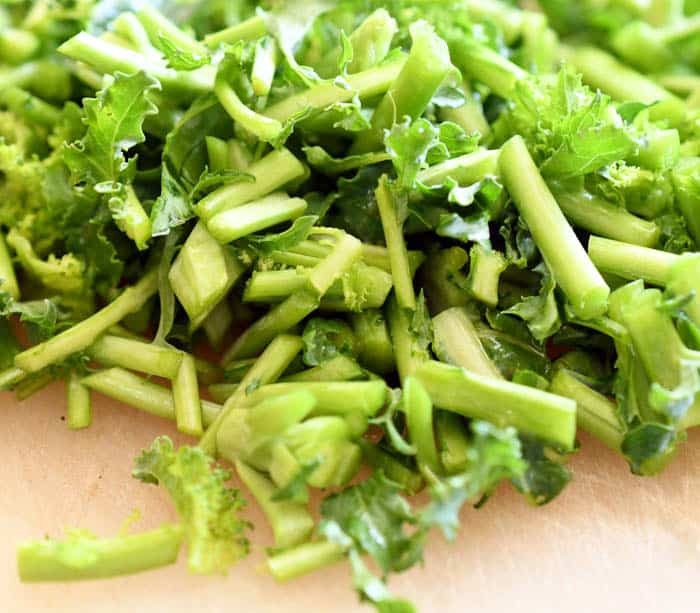 I want you to tell me what you use your kale stems for in the comments. Do you just eat them with the leaves, make a fun sauce or spread? Maybe yours go into the compost to grow some new kale in next year! I went ahead and prepped my greens once I got my CSA and had a huge bunch of green kale and a giant bunch of collards. What that entails is rinsing off any clumps of dirt off the whole leaves and tearing them off the stem into bite-sized pieces. Then I put them in a lettuce spinner, wash them more, and spin them dry. I store them in a resealable container that I lined with clean paper towels. This helps keep them fresh longer. 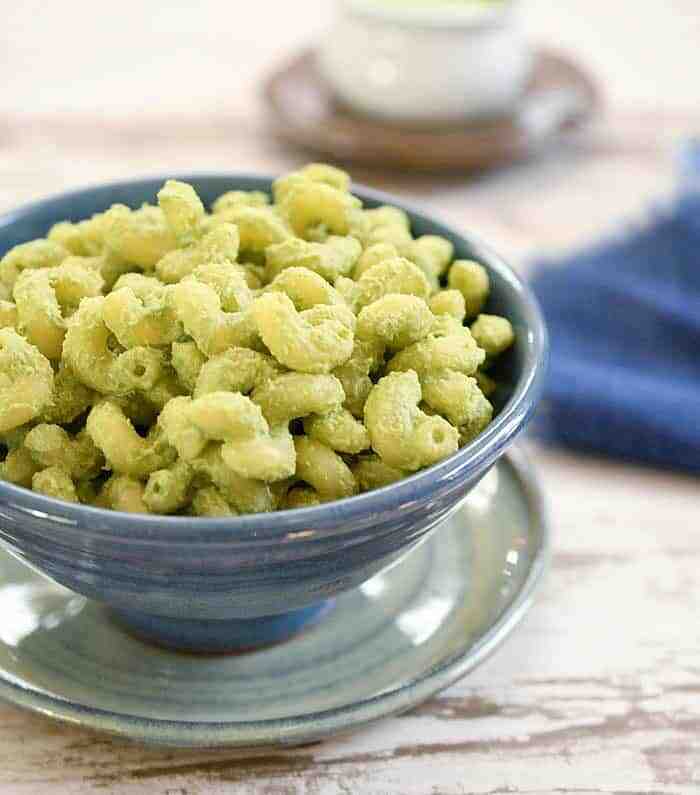 Need to make a new and delicious pasta sauce? 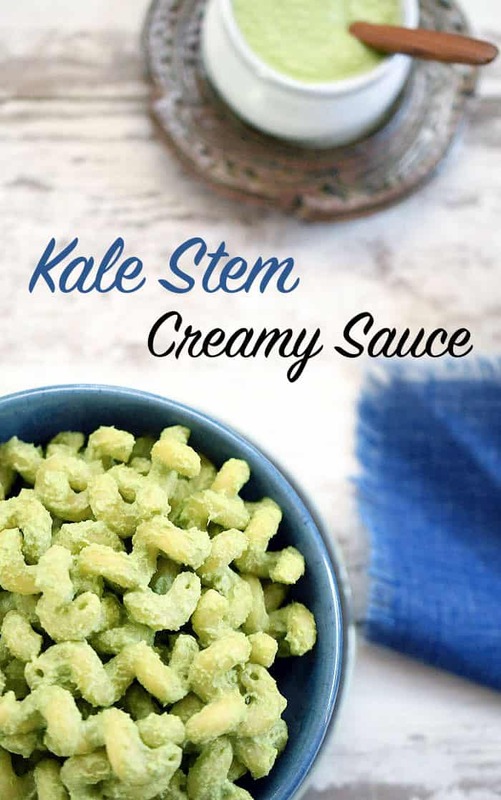 This Kale Stem Creamy version is going to hit all the taste buds. 10 rosemary leaves not sprigs! Add everything into your blender and blend until smooth. Optional: You can add up to 1/4 cup extra unsweetened nondairy milk to make it smoother and creamier. 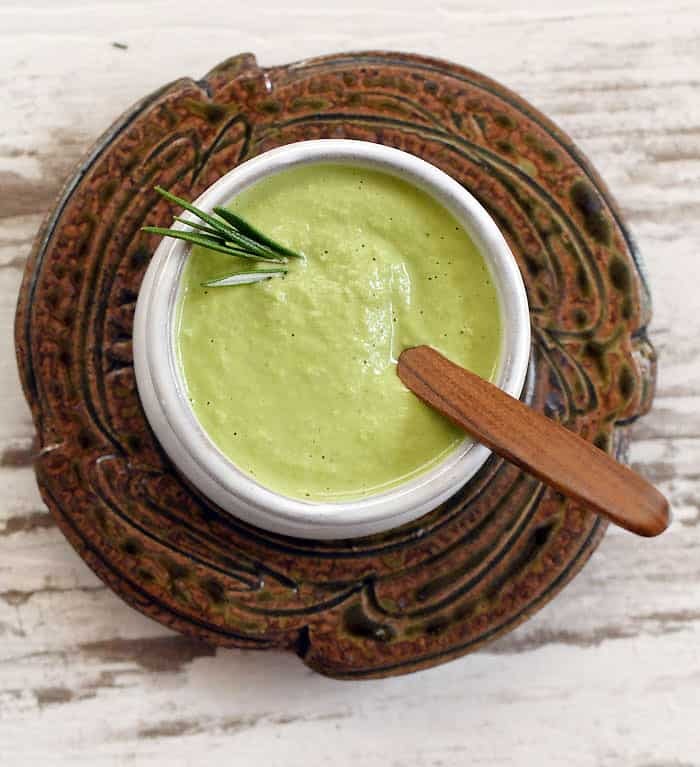 Serve over pasta, spread on sandwiches or use as a salad dressing. I usually put the stems in soup. This is a better idea, especially for summer – non soup season. What a brilliant way to use up kale stems! I’m never sure what to do wtih them. Thank you! I just picked a bunch of kale in my garden, and after de stem I g, I was left with a big bag of stems. I do sometimes just steam and eat, but this sounds more fun. Thanks!